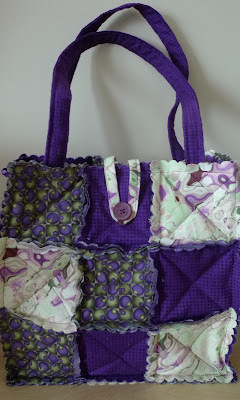 Karina's Kreations: Rag Purse Creation! I completed my rag purse. I don't sew so I was a little bit intimidated with this project. I'm happy to report it was very easy. If you can sew a straight line, you can make a purse. All you need is a Big Shot die cut machine and the Stampin'Up Scallop Square Bigz Die. The Bigz die can cut 5-8 layers of fabric at one time. 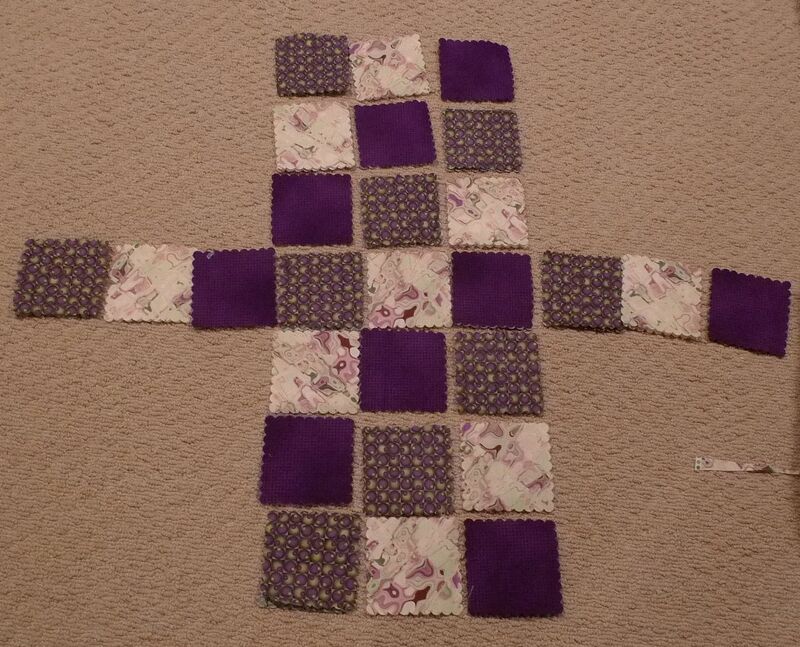 I cut 54 squares of 5 1/4" x 5 1/4" fabric and 27 squares of cotton batting. The cotton batting squares were 3-1/4" x 3-1/4". The handle was 2-1/2" x 24" long and the closing handle was 2" x 12" long. I may run this as a class in the summer.